Rev. Ruud and Marja Phaf are happy to work together with partners in the Ministry, because they know that there are different gifts and ministries in the kingdom of God. (1 Cor.12:28). Welcome to the site of Oasis full Gospel Church Hoofddorp. This Church was founded by pastors Albert and Monic Best. The first meeting was on 29 May 2005 in the Christian Reformed Church building "The Grain". 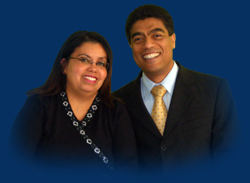 Pastor Albert and Monic had given their lives dedicated to the Lord Jesus Christ at the young age of 15. By the grace of God they have Him served continuously since then. The Lord has blessed them with three beautiful children Christian, Elizabeth and David. Prophets Rev. Adri and Mrs. Lies Bos has God gifted with the gift of prophecy. He is a prophet of God, that is, a spokesman for the Lord, a man of God who speaksthe word of God without compromise. He proclaims not his own thoughts, but by what he has heard from God. Also they have great influence on the mission of Rev. 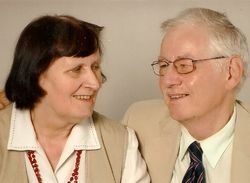 Ruud and Marja Phaf. God hath set some in the Church appointed as Apostles, prophets, pastors, teachers, evangelists, gifts to help and to control.